She is a conductor of famous female choir Cantus which won many international competitions. For many years Tove worked full-time as a freelance choir instructor but has recently taken up a part-time position at the Norwegian Choir Association, South Trøndelag Region. 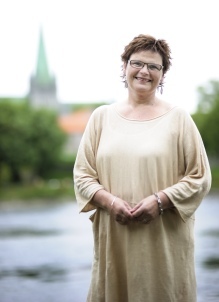 Tove Ramlo-Ystad is one of Norway’s most acknowledged choir conductors. She is a very popular and inspiring guest conductor nation-wide and she is frequently used as an adjudicator in international choir competitions.